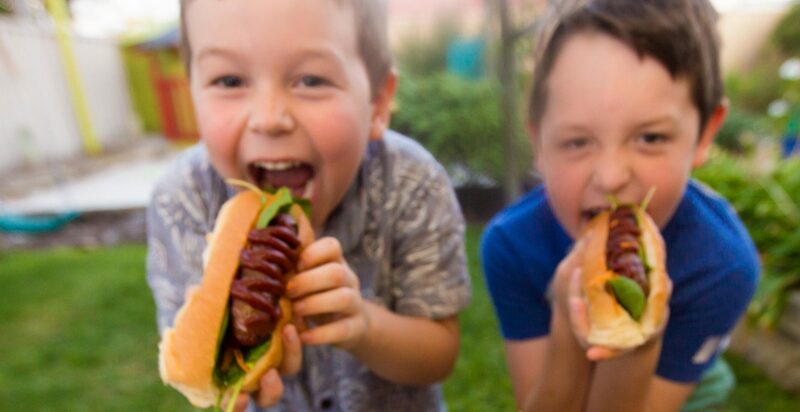 1 – Pan fry or BBQ sausages until just cooked. Set aside. 2 – Cook onion, capsicum, zucchini and eggplant in olive oil for 5 minutes or until tender. 3 – Stir in tinned tomates and rosemary and bring to a simmer. 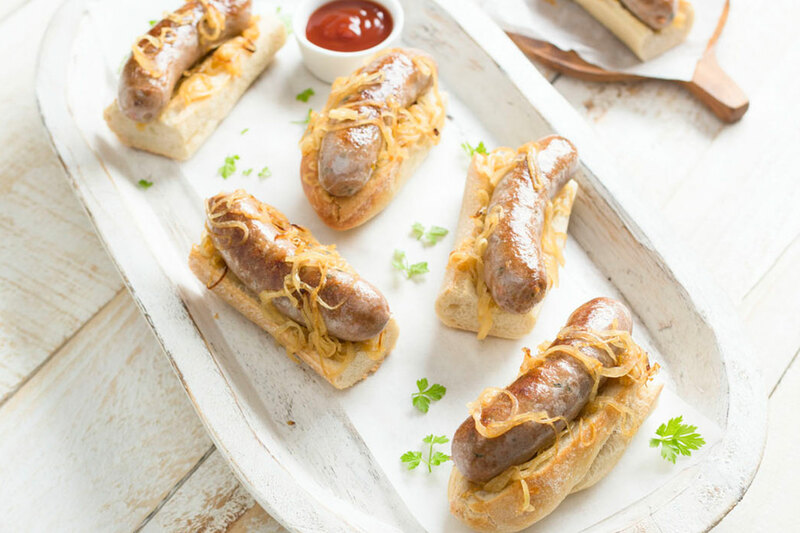 4 – Slice sausage in half lengthways, then crossways. 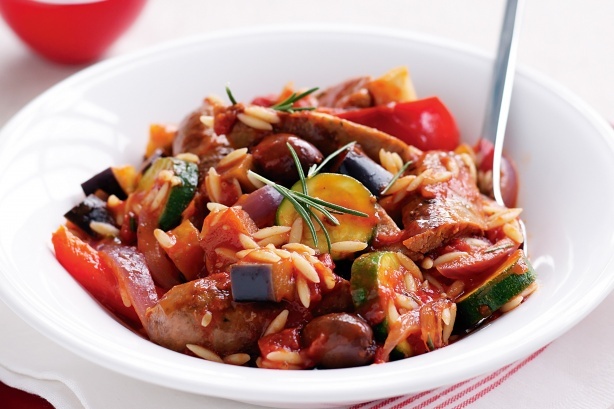 5 – Add sausages to pan with risoni and olives. 6 – Simmer covered, stirring frequently, for 10 minutes or until risoni is tender.